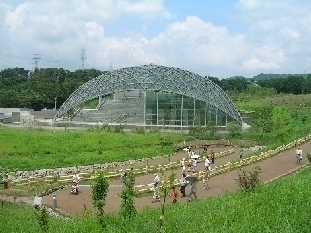 Gunma Insect World opened on August 1, 2005 in Niisato-cho, Kiryu as a prefecture-run cultural facility. Its concept calls for "locating living creatures in one's immediate natural environment that will help make him or her aware of the importance of life." There are groves of trees, terraced brooks, and ponds on the 45-hectare (450,000m2) site. Butterflies from subtropical habitats fly throughout the year inside a gigantic glass greenhouse built by a famous Japanese architect, Tadao Ando.